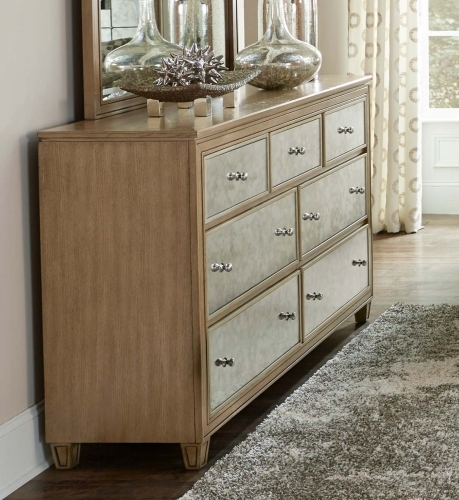 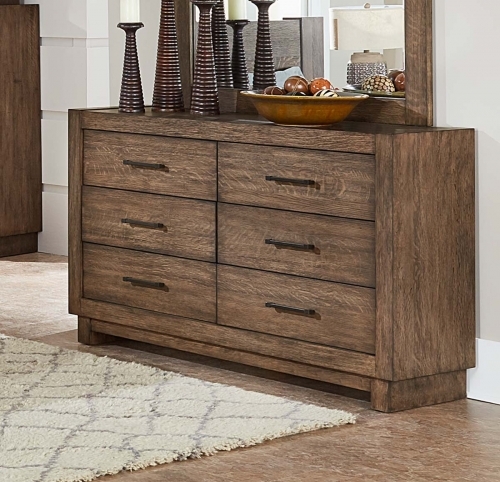 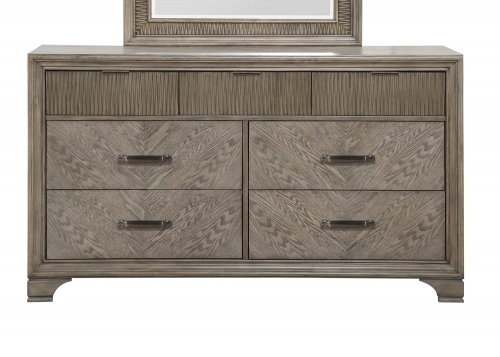 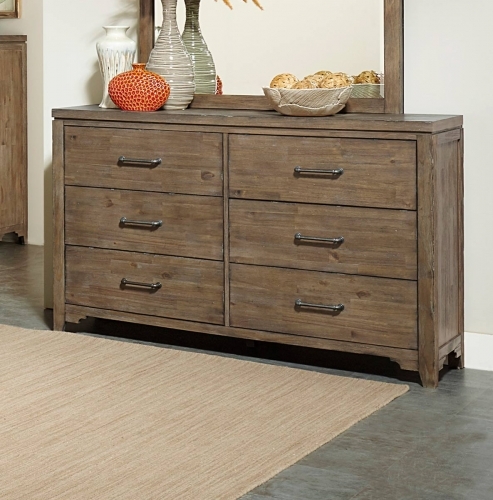 Bring a clean look to your home with the Webster collection. 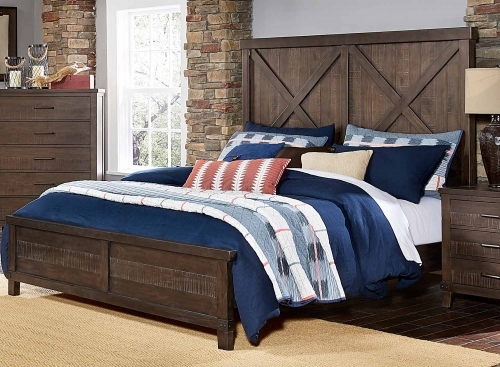 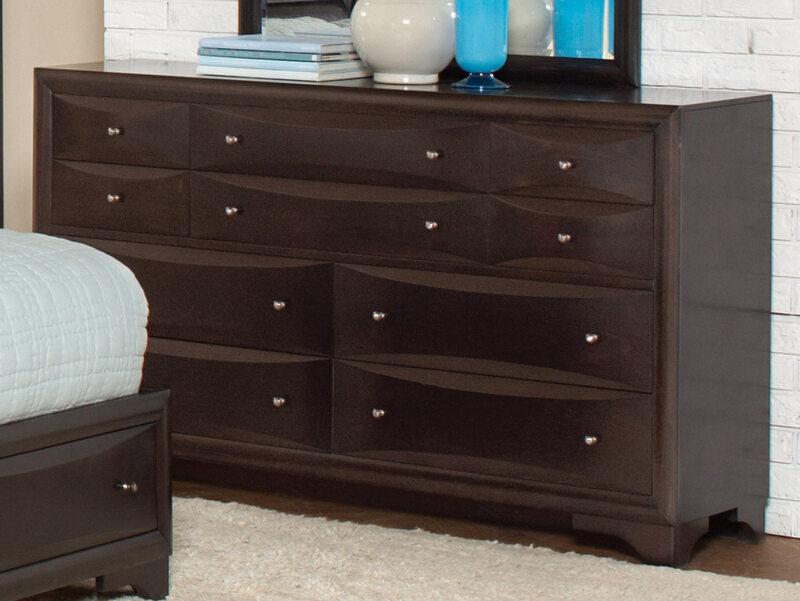 The bed features an upholstered triple tiered headboard for a comfortable back rest to your pillows and two drawers in the footboard for convenient storage. 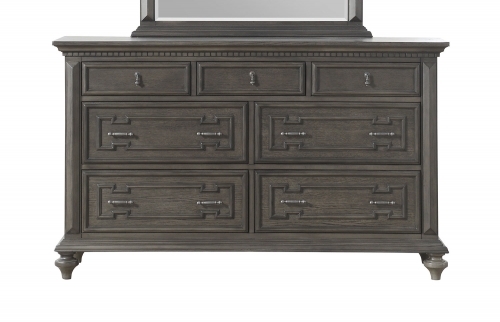 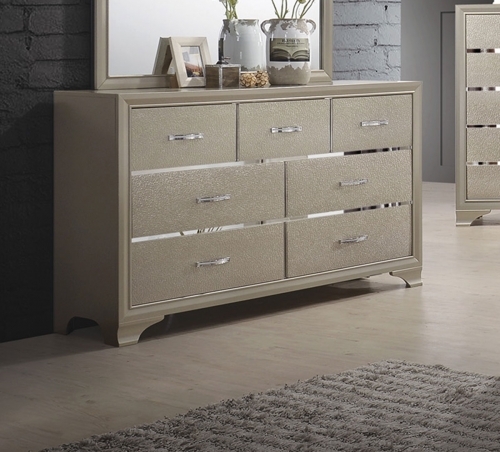 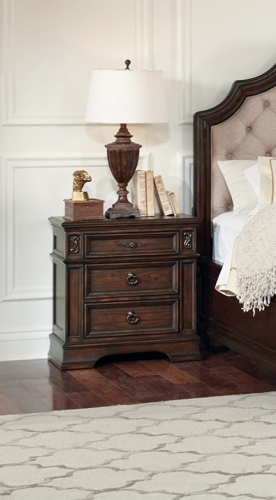 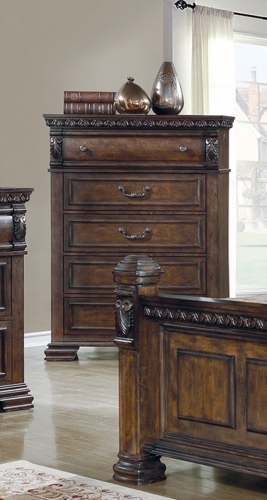 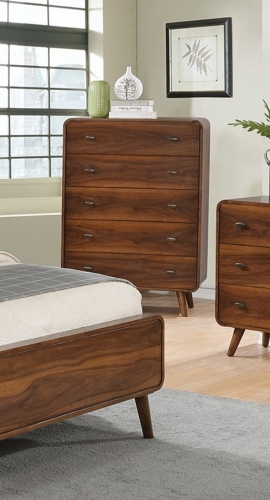 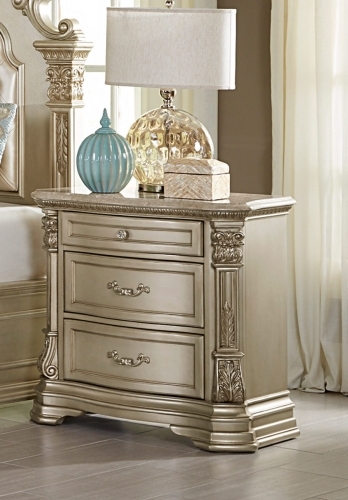 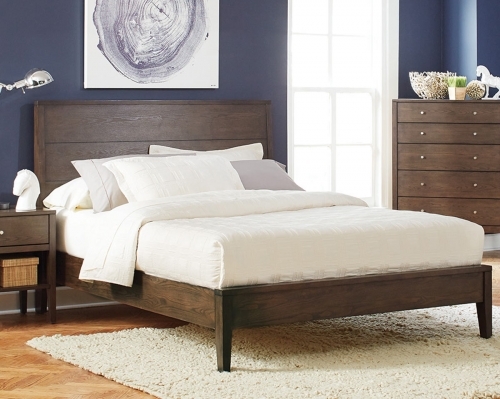 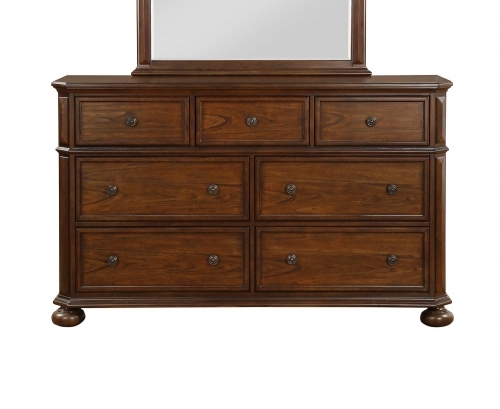 Crafted from select hardwoods and maple veneers, this collection will add drama and romance your bedroom environment.